The following are reward programs, brands, apps, educational resources, and online commerce tools we like, support, and personally use. Typically, we enter into affiliate relationships with these companies. This allows us to offer special deals and pricing not available to the general public. You win. We win. Did you know that most large e-commerce website will give you money back? Ebates is awesome because you make money back on the things you plan to buy anyway, ...for free. Seriously. They even offer browser extensions that automatically apply promo codes at checkout in case you never knew such codes existed. At the end of every quarter, Ebates will send you a check or PayPal funds. Simple. Free. Sign Up for Ebates. Free. Automatically find and apply coupon codes when you shop online. Free! No more Googling and searching for coupon codes and sales. Honey will automatically apply coupon codes from all the major discount code sites to your shopping cart to get you the very best on the internet. Cool, huh? Let's face it, it's tough to beat Amazon. An amazing marketplace where shoppers can find almost any product, at the best price, anywhere. Like free two-day shipping? Free music, kindle books, and videos? Unlimited photo storage? You get all that and a lot more as an Amazon Prime member. An absolute no-brainer if you shop on Amazon frequently. 3% cash back on every dollar spent on Amazon. 5% if you are also an Amazon Prime Member - also a must-have. 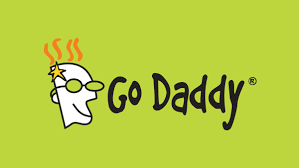 GoDaddy catches a lot of flack, but they have been around for a long time and have been reliable for us for many years. Pound for pound, we like them best. 0.99 Domains - Buy .com addresses for 99 cents. Flat 30% OFF Your Order - Exactly what it says. Take 30% OFF. While any hosting company can host Wordpress-driven websites, it pays to go with a host who specializes in Wordpress sites. WP Engine is our host of choice for Wordpress hosting. They have the best support, full of knowledgeable technicians, and they provide staging areas to prevent live site mistakes. You'll love 'em! GORUCK sells amazing tactical gear, but is best known for their rucks sacks. At first can appear pricey, but the gear is built to last and offers a lifetime guarantee. GORUCK Challenges are events designed and led by active-duty and veteran special operations cadre. Check out GORUCK Gear, and get ruckin'. Lifetime Guarantee on all gear. See all the GORUCK Challenge events, and register for one. Being a participant on this show changed me in so many ways. The hardest, most intense experience of my life, played out for the world to see.